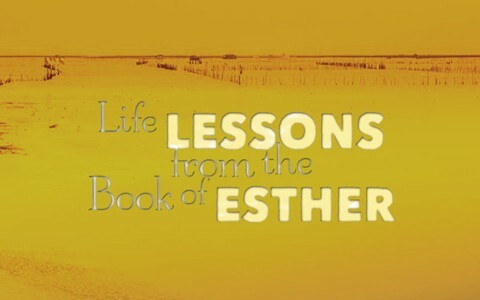 Here are 5 important lessons that I learned from the Book of Esther. The Book of Esther never mentions God by name, there is never the word “prayer” uttered, and the only spiritual discipline that is mentioned is fasting but that never says anything about prayer and fasting. It doesn’t appear that Esther actually wrote this book because if she did, she wouldn’t have likely named it after herself. Many Bible scholars believe it was written by Mordecai although the book never says who the author actually was. Ultimately, we know that God is the real Author anyway, as with all Scripture (2 Tim 3:16). The lesson here is that even though there is no mention of God or of prayer, we know that God’s hand was on Esther and on Mordecai and that His divine timing is always the best, even if we don’t see it at the time. The silence of certain things in the Book of Esther doesn’t mean that there wasn’t prayer or that God was at work in this book. When Queen Vashti refused to obey the king, guess what? She was dethroned (Esther 1:13-20). As they say, pride comes and then the fall (Prov 11:2). God will resist the proud person and only then will He give grace to those who humble themselves (James 4:6). Queen Vashti refused to humble herself before the king and even though the king wanted Queen Vashti to come before him for the wrong reason, it is still true that “Pride brings a person low” (Prov 29:23) and “Before a downfall the heart is haughty” (Prov 18:12a). She learned far too late that humility brings favor but pride brings resistance; before God, before kings, and before everyone. The same pride was at the root of King Ahasuerus’ heart as he displayed the riches of his glorious kingdom (Esther 1:4) and as we have read in the Bible, King Hezekiah did the very same thing and it came with disastrous results in the form of the Babylonians desire for riches (2 Kings 20:12,13). When the king started looking for another queen to replace Vashti, he loved Esther above all other women and she obtained favor before him and she became Queen Esther (Esther 2:9-17). Mordecai learned of a plot to kill King Ahasuerus and so he made it known to the king through Esther. This will become a very important fact later in the Book of Esther but for now, the lesson is that when God’s hand is on someone because their ways are pleasing to Him, He gives them favor in the sight of all, whether it’s a pagan king and his court or not. This is found throughout Scriptures like in Proverbs 16:7 “When a man’s ways please the LORD, he makes even his enemies to be at peace with him” and of course we can say the same thing about when a woman’s ways please God He makes her enemies to be at peace with her. Even after Daniel was taken as a captive by the Babylonians, “God had caused the official to show favor and compassion to Daniel” (Dan 1:9). This phrase has become synonymous with the divine providence and sovereignty of God and it originated from the Book of Esther and we’ll see why in a bit. Haman received a promotion from the King and when Mordecai refused to bow to him (Esther 3:1-4), which was due to his being a Jew which forbid him from bowing to anyone except to God (Ex 20:4-5). Haman was outraged and sought a way to destroy Mordecai and all Jews (Esther 3:6) so Haman devised a wicked plan to do just that (Esther 3:7-13) and tricked the king into agreeing to a law where all the Jews would be killed within twelve months (Esther 3:13). Of course, the king had no idea that Queen Esther was Jewish or he would not have ever allowed this law but Haman’s deception worked. Every single Jew was to be killed on the very same day and this evil plot included every man, woman, and child. All that the Jews could do was fast in sackcloth (Esther 4:6-8) and we can assume they prayed, even though this is never mentioned in the book. Mordecai was desperate and so called on Queen Esther to seek an audience with the king and go before him which could be certain death in most cases if the king had not summoned them (Esther 4:10-11) but Mordecai reminded Esther that “Do not think to yourself that in the king’s palace you will escape any more than all the other Jews. For if you keep silent at this time, relief and deliverance will rise for the Jews from another place, but you and your father’s house will perish” (Esther 4:13-14a) and this is when the famous phrase came out as Mordecai said “And who knows whether you have not come to the kingdom for such a time as this” (Esther 4:14b). Esther then ask the Jews to fast about this for three days and three nights (Esther 4:15-17). The lesson here is that God’s timing is always immaculate and the Book of Esther reminds the reader of this and Esther’s place on the throne at this exact time would save the Jews from extermination. The Book of Esther has more than five lessons but the points are that God sometimes does things without revealing them by words; pride will come just before a fall; when we please God we can find favor even among our enemies; God’s timing is always perfect; and finally, that if we devise evil for others, it can easily come back on us. I was a veracious reader of the bible many years ago and remember the book of Esther, but over the years, not having picked up a bible in a while, I had forgotten this book. Thank you (I say that a lot, I know) for this entry on it. Important lessons for all. Pride has been the let down for many a person, including me, I won’t lie or put on airs. It’s a relief to be preached to, not preached at. Thank you. Oh that I find more humble Christians like you and that I desire to be too but I battle my own flesh. May God richly bless you as you have been as refreshing to me as a cold glass of water on a hot day. Thank you. Next post: Is There A Difference Between The Kingdom Of Heaven And Kingdom Of God?